New Restaurant to open at New West Station. A successful Yaletown restaurant is opening a new location in Downtown New Westminster. The Hub plans to open a 5,000-square-foot restaurant and lounge in the Shops at New Westminster by Dec. 1, according to co-owner Jennifer Marsh. It will be on the same level as the SkyTrain station, above Safeway. Guanaco Truck, which serves up Salvadoran pupusas and pasteles, is one of 20 food carts attending. While many of Vancouver’s food trucks are congregating at Food Cart Fest every Sunday until the end of September, up to 20 food carts will be heading to New Westminster for the city’s inaugural Columbia StrEAT Food Truck Fest on August 10. Organized by the City of New Westminster, Downtown New Westminster BIA, and real estate development project Trapp + Holbrook, the event will feature street food, a beer garden, and live entertainment on Columbia Street between 4th and 6th streets. Concerts at the Quay for Canada Day long weekend. Concerts on the Quay returns to the Westminster Quay boardwalk featuring top national and international recording artists. The series kicks off on July 1st with live performances plus a spectacular Canada Day fireworks display over the Fraser River at dusk. New Westminster's Pier Park was in some heady company as a finalist in the World Architecture News Awards for completed urban regeneration projects. The MLS Home Price Index is a relative measure of residential real estate price movements in the Greater Vancouver zone, which excludes Surrey, North Delta and White Rock. New Westminster to get a Rona satellite shop. Rona is opening a smaller format store next to the IGA at Columbia Square in Downtown New Westminster. It will fill a hardware store void left when Canadian Tire closed its location at Eighth Avenue near McBride Boulevard in 2006. Rona has chosen New Westminster as the location for its first “satellite” store in British Columbia. In an effort to keep pace in the highly competitive home improvement business, Rona Canada recently announced a strategy of establishing satellite and “proximity” stores. Dustin Bentall is the son of Canadian rocker Barney Bentall, and will be performing with his partner, Victoria violinist Kendel Carson. Will the Quay deliver on its promise? At the New Westminster Quay Market, a photographic silk-screened montage by artist Ed Pien depicts idyllic scenes from the banks of the adjacent Fraser River. Billowing elegantly over the top of an escalator, the work is called New Paradise. 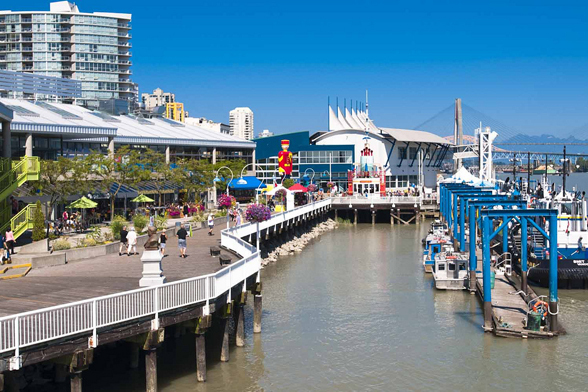 While that may be an ambitious moniker for the city of 66,000 at the geographic centre of the Lower Mainland, it is certainly becoming the region’s new real estate darling. Well today I was surfing through listing updates and noticed this duplex was lowered 50k to 635k. Looks like each side is about a 1500 sq. ft. 3 bedroom with a rec room in the basement. It's on a busy street and needs some renovations, but I believe with 20% down this property could possibly cover (depending on final sale price). I am thinking about 1500$ per side per month and and have the renters pay the utilities. This would make 3000$ a month which could cover $500k in mortgage at today's rates plus roughly the property tax and insurance. Stats Release by Real Estate Board of Greater Vancouver. Mortgage rates are holding fairly steady these days and are still quite affordable. It's looking like the best rate you can find on a 5 year fixed mortgage is around 3.19% which would put a monthly payment at $484.15 per $100,000.00 of lending on a 25 year mortgage amortization. For Example, if you bought a condo for $300,000.00 and put 20% down (60k) the mortgage would be roughly $240,000.00 and the monthly payment would be 2.4 x $484.15 equalling $1161.96 per month. I personally expect these to slowly creep up as the year progresses due to evidence of economic growth. I've just started it up and it's under constant construction right now because I want there too be plenty of useful content for all the would be home buyers and sellers. Please be patient with the site content, but the site itself is already a very usable tool and I already have the knowledge I plan on imparting so feel more than free to contact me by phone, email, or smoke signals and I'll handle any questions or concerns you have personally.